The artistic director of London’s Young Vic Theatre has said that he is “saddened” by some of the conversations he has heard about immigration in Britain since returning from America to take up the role. 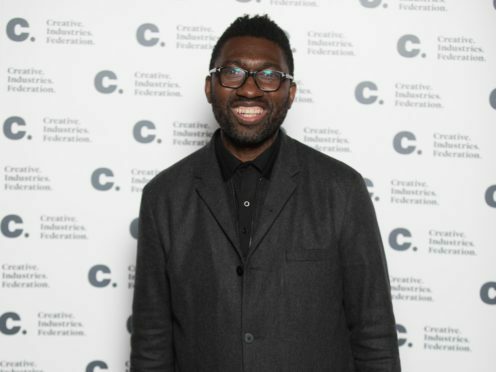 Kwame Kwei-Armah was speaking at the announcement of the programme for his first season at the theatre after replacing David Lan at the start of this year. An eclectic array of multi-media productions will begin with a musical adaptation of Shakespeare’s Twelfth Night, co-directed by Kewi-Armah. This will be followed by Black Panther star and Tony-award winning writer Danai Gurira’s play The Convert, which explores the impact of colonialism in 19th-century Rhodesia. Next up is #TheConvert. This striking play from Black Panther star and Tony-nominated writer @DanaiGurira explores the impact of colonialism and Catholicism on black identity. Also announced was a digital project called My England, where playwrights from across the country will celebrate Englishness by producing a series of short video monologues. Kwei-Armah returned to the UK from America after serving as the artistic director of the Centre Stage theatre in Baltimore. He said that he noticed that the country had changed from the one he had left. He said: “I feel like I have arrived back in a country that has moved forward and also kind of moved back. “It is a nation that, in my humble opinion, may be in a bit of an identity crisis. It doesn’t quite know what it was. It doesn’t quite know what it’s going to be post next year and our exit from Europe. “In a way there is some part of my heart that is saddened to hear conversations about immigration, to hear conversations of Windrush children being sent back or deported or feeling under threat, to look at immigrants in this country and to see the fear that’s in their eyes and that was in my mother’s and father’s eyes 40 and 50 years ago – all of that stuff feels like we’ve taken a step back. “When it comes to speaking about Englishness we have a problem with it. It makes us sad and xenophobic. It makes us sound as if we’re occupying space that’s been weaponised by the far-right. Kwei-Armah’s first season as artistic director of the Young Vic will begin with Twelfth Night in October. All Main House shows’ first preview tickets will be sold for £5 via a TodayTix lottery, in a bid to change the traditional demographics of theatre audiences.